This rural town continues its struggle with utility-scale solar development, as the Planning Board and Town Council disagree on how to address the surge in such projects. On Oct. 3, the Planning Board issued another unfavorable ruling, this time for a 10-acre solar array on a 30-acre piece of land. In order to approve the project, the five-member Town Council needs a two-thirds majority, or four votes, to override the Planning Board’s opinion. That vote is expected to be taken at the council’s Oct. 15 meeting. The 2.5-megawatt Atlantic Solar LLC project is the seventh industrial-scale solar project to seek a “spot zoning” exemption from the town in the past 18 months. Four of the projects have been approved by the Town Council. Three await a decision. The Planning Board issued unfavorable opinions on requests to rezone the sites from residential to commercial development. Board members argued that the projects don’t conform with the town’s comprehensive plan and land-use objectives. The reasoning is shared by the surge in grassroots opposition to the projects. But most opponents expect the Town Council to override the Planning Board. “This is a sad commentary on the obduracy of a slim majority of Town Council members who have abdicated their responsibility to the residents of Hopkinton in their blind pursuit of solar tax revenue, ignoring the Comprehensive Plan, perverting the planning process, embracing the interests of commercial solar profiteers who have descended upon Hopkinton in droves, and condoning illegal zoning practices, including blatant spot zoning,” resident Eric Bibler wrote in a letter to the town. The largest of the recent projects is the 350-acre Brushy Brook solar array. 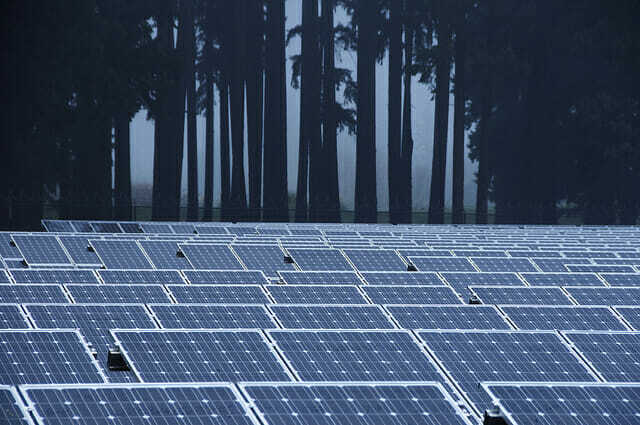 The solar facility would cover 122 acres, while 175 acres would be cleared of vegetation, including some 35,000 trees. The site on Dye Hill Road abuts the Arcadia Management Area, Rhode Island's largest state park. On Aug. 1, the Planning Board voted, 4-0, to send an unfavorable ruling to the Town Council regarding the developer’s request to change the property’s zoning from residential to commercial. The Planning Board sited the town’s land-use goal of protecting the community’s rural character and preserving wildlife and wildlife habitat. Opponents say a 6-foot fence around the project would limit wildlife movement. They argue that even though the developer, Southern Sky Renewable Energy LLC, offers a plan to reforest the site in about 35 years, the project’s maintenance and operation agreement allows the solar system to operate indefinitely. Some neighbors surrounding the site favor the 58-megawatt project because they prefer a field of solar panels over a large residential home development and the traffic it brings. The owner of the property had previously pursued building 270 single-family homes on the site. Supporters also agree with the developer’s assertion that a solar array spares the town of infrastructure costs and the burden of adding students to the school system. The solar developer also noted that building 100 homes would generate 35,000 to 40,000 gallons of septic effluent. The proposed solar project is expected to bring in $232,000 in annual tax revenue. Planning Board member Tom Holberton argued that once the solar array is removed, the cleared site would invite house construction or other permanent development that would threaten Hopkinton’s rural character. To limit noise, the developer has promised to cluster the array’s 452 inverters and 21 transformers to “islands” located within the interior of the site. Planning and land-use expert Edward Pimental told the Planning Board that the a border of old-growth trees on the perimeter of the site will buffer sound and visual impacts of the project. Pimental suggested that the town would is sacrificing prime commercial space by limiting solar projects to sites that currently allow large solar development. At the Oct. 1 Town Council hearing, the developer added a new inducement, promising to pay the $130,000 cost for demolishing the vacant Ashaway Elementary School. The Town Council is expected to respond to the offer and zoning request at its Oct. 15 meeting at 7 p.m. at Town Hall.